A little boy lost! Heroic police! A fruitcake competition! This child-safety record from New Zealand has it all. Music, jokes, and possibly the silliest “stranger danger” song ever performed. One thing you won’t hear is a New Zealand accent. The record is undated, but it comes from a time when anyone seeking to make a living as an actor in the antipodes had to acquire a British accent. Thus it is that My Friend the Policeman sounds as if narrated by the Presbyterian Ladies’ College lacrosse coach. And the man who plays the honest bobby on duty at a country show – well, he must have taken elocution lessons. Ah, but who cares. From the opening riddle, to the instruction to turn the record over, to the deeply entrenched gender-stereotypes, this bizarre record is a hoot. 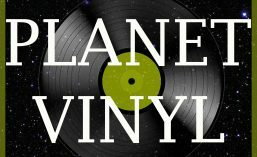 Many of the records discussed on this blog, and more than 1000 others, are for sale on Discogs. After a couple of weeks stranded on Earth, attending to the small matter of making a living, it is a relief to again board the Planet Vinyl shuttle and land … well, it’s a place called Topanga, and we are in the company of a funky 1970s TV cop. David Soul was one half of Starsky and Hutch, the immensely popular cop show. I never got to watch it – my parents were a bit eccentric, and we didn’t have a TV in the 1970s – but I remember Starsky and Hutch pencil cases had serious street cred at primary school. Back then, I was too embarrassed to ask which one was which – and now I don’t care. At any rate, David Soul is the guy with blond hair, and he was also a musician. David was a Chicago boy, born in 1943. His family name was Solberg, and truncated for the stage he entered the performing arts. He once appeared on a television variety show, wearing a mask. The reason, he explained to the audience: “My name is David Soul, and I want to be known for my music”. Fair to say he failed in this ambition – he will forever be associated in popular memory with squealing tyres and shootouts – but he did enjoy real success in music. I remember one of his hits, “Silver Lady”, which was a UK number 1 in 1977. That was a sentimental ballad, as is the A-side to this release, but Soul could range more widely. This track is called “Topanga”, which is, I discovered, a real place. It is a small town which is quite close to Los Angeles, but inside the Santa Monica Mountains nature reserve. This combination (handy to Hollywood, spared the smog) made it a popular place for artists. At different times Topanga has been home to, or at least a rural bolt hole for, Stephen Stills, Mick Fleetwood, Marvin Gaye, the Morrisons Jim and Van, Gram Parsons, Neil Young, Joni Mitchell and Woody Guthrie, and a Warner’s back-catalogue of others. The song is lyrically modest – just praising Topanga as a pleasant place to live, really – but it is a nice piece of country-rock, strongly arranged and performed.